Sauber tends not to be a name that evokes any particularly passionate response from a casual motorsport fan, but the decades-old midfield team has rarely had a dull moment in Formula One. This week Sauber wrote another chapter in its chequered history: it has parted ways with long-time team member and, more recently, CEO and team principal Monisha Kaltenborn. Longbow Finance swept to Sauber’s saviour in the middle of last year when the team was teetering on the brink of financial ruin, seizing a 100 per cent share from former joint owners Peter Sauber and Kaltenborn herself. 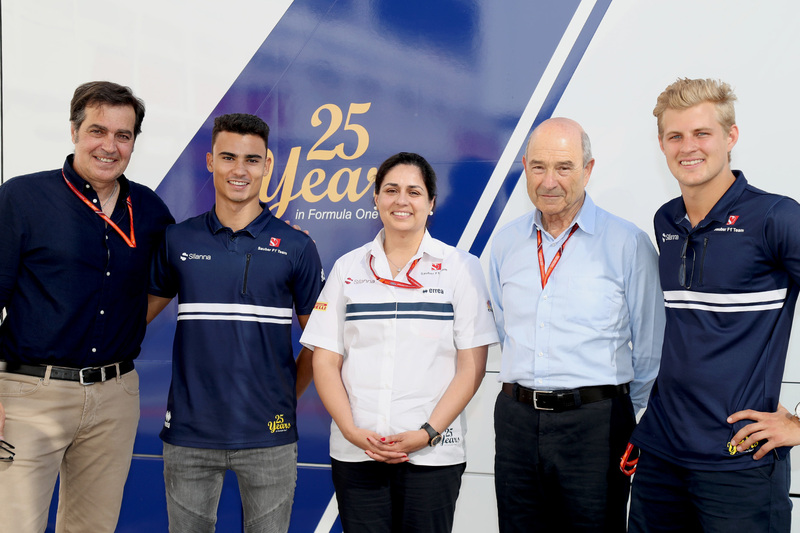 The plan was is to return the team to health as a research and development organisation in a similar style to Williams, which has become self-sustaining by diversifying into businesses beyond Formula One. Before the company can do that, however, it must find on-track success, and performance has been sorely lacking since 2014. Though the car is being developed for the first time in more than a year, upgrades are failing to bring the expected benefits, and only the ongoing embarrassment of McLaren-Honda is keeping Sauber off the bottom of the table. Somewhere along the way Kaltenborn, a Formula One leader of 20 years experience, and Longbow Finance, which has been involved in the sport for less than 12 months, have disagreed on exactly how to reverse the slump, and the more experienced head has come off second best. The immediacy of the departure has left the team in the indefinite lurch on the eve of a grand prix — and considering Sauber is being helmed by a company with limited F1 experience and no obvious rebuilding plan, concern is the overwhelmingly emotion. But why should we be concerned about a team with such bleak prospects and a largely unspectacular if lengthy tenure in Formula One? Because independent teams like Sauber are the backbone of Formula One. Consider last weekend’s 24 Hours of Le Mans. The world-famous endurance race always a spectacle, but last weekend it was especially so when it seemed an LMP2 car — run by Jackie Chan DC Racing, no less — would claim overall victory ahead of a stumbling field of its LMP1 rivals. The sensational result wasn’t to be — one of the two surviving LMP1 challengers climbed up the field to resume the lead in the final hours — but the prospect of such an historic moment highlighted a defining problem of the World Endurance Championship in 2017: a lack of top-flight competitors. With Peugeot long gone, Audi’s sudden dieselgate-fuelled departure at the end of last season and Rebellion Racing’s switch to LMP2, LMP1 has been left with only two competitive team entries in Porsche and Toyota, and with the next regulatory cycle yet to be defined beyond broad principles, there are rumours one or both could withdraw in the near future. It’s a sad state of affairs for a racing category that only 12 months ago seemed to be on the cusp of a golden era. The problem — and the lesson Formula One ought to heed — is that reliance on auto manufacturers at the expense of independent teams. Formula One should have learnt this in 2009–10, when in the space of little more than 12 months the number of manufacturers dropped from six to three, jeopardising a significant portion of the F1 grid. The fact is that with the exception of Ferrari, which is almost inextricably tied to F1, manufacturers that arrive in the sport do so for their own reasons, chief amongst them marketing. Their forays into international motorsport inevitably have goals, and once those goals are achieved — or, as in the case of Toyota, are deemed unachievable — they withdraw. Only the independent teams who come to Formula One for its own sake feel responsibility for the sport, and even if they tend to only infrequently take places on the podium, never mind vie for the title, their contributions to the category are irreplaceable. This is why it has long been folly for Formula One to commercially favour its manufacturers and even Red Bull Racing, which exists in F1 with the same marketing philosophy — one day these teams will leave F1, their pockets full but the sport poorer for the sacrificing of the smaller teams for short-term gain. This ethos, championed by the former commercial rights holder, brough Sauber to this place. Longbow may have saved the day last year, but the team is far from out of the tunnel — indeed the light seems almost further away today than it did 12 months ago.